Doctors in the U.S. suspected tuberculosis (TB) in a 2 year old toddler when she came back from a visit to India even though tests came back negative. Tuberculosis, or TB as it’s often called, attacks the lungs and is a bacterial infection, which may infect others via coughs and sneezes. A new report by World Health Organization says that TB made almost 10 million people sick globally in the year 2014, including 1 million children. ABC news reports that drug-resistant tuberculosis is a worldwide problem, especially for young kids who can’t be diagnosed easily, making treatment a challenging task. Finding out if the toddler was suffering from an aggressive form of the disease would take a minimum of three months to confirm. Owing to this, public health officials and doctors are urging that a new test be developed to combat TB in children in developing countries. Still, researchers at Johns Hopkins believe that the toddler suffered from a drug-resistant form of TB, or XDR-TB, which does not respond to several drugs. These figures are double what they used to be. A lot of experts suspect that the figures may be even higher since kids in nations may die without ever being diagnosed. In most of the countries around the world, physicians “don’t have anything like a CT scan to use to help them with this. They just have to use a stethoscope and a scale and their clinical judgment,” said Dr. Anna Mandalakas, director of the global tuberculosis program at Texas Children’s Hospital and Baylor College of Medicine. The 2 year old toddler had just come back from a three-month trip to India and came down with high fever. Doctors conducted a list of tests but the results did not yield any diagnosis. Also, the relatives of the little girl showed no related symptoms. However, X-rays and CT scans discovered hints along with a spot on her lung and some enlarged lymph nodes. The usual TB tests include a check for germs in the patients’ sputum. However, kids who are below the age of five years do not have as much bacteria and toddlers have the tendency to swallow mucus instead of coughing it out, explained Jain. Doctors still suspected TB and therefore threaded a tube into the girl’s belly to check for TB germs. A laboratory could have made the effort to identify and grow any bacteria present in them. 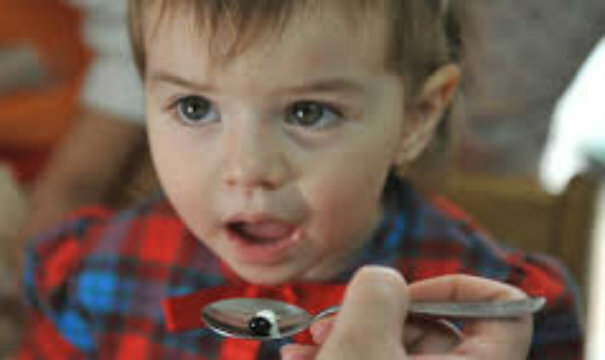 In the meantime, the toddler was given four standard TB drugs. This helped her get rid of the fever and she pit on some weight. This implied that in the treatment was successful. X-rays, however, showed consistent lung inflammation. A moth later, lab found slow-growing TB germs in one of the samples of the lab that could be further used for complex testing. It took 3 months that doctors had confirmation about the rare XDR-TB. Three out of the four drugs prescribed to her did not work. Her lung tissue started to die. Then doctors shifted the treatment to five different and riskier drugs but lacked a faster way to detect if these were effective. A scan displayed that her lungs started showing signs of clearing few weeks after the treatment started. Just 18 months later, she was announced in remission and is healthy till date. This case is an exemplary lesson for countries that are hit the hardest by resistant TB where patients appear to be recovering after the start of standard treatment, Mandalakas said. Research to find new options for multidrug-resistant TB are just starting.